Over 2,000 frame samples at Art Impressions allow shop owner David Visi to customize his clients’ precious family heirlooms, treasured memorabilia and artwork for years to come. The “work” that Visi described is the craft of custom framing, a process that demands equal parts precision and patience. Once Visi has mentored a client through choosing the best frame for his or her piece, he said he then measures and cuts the matte—the mounting material used to support or form a border around the piece—before constructing the frame itself, typically formed by cutting and mitering individual pieces of wood. The prevalence of big-box stores such as Michael’s and Hobby Lobby has led to a dwindling number of businesses like Art Impressions, Visi said. He said custom framers use higher-quality materials when preserving a person’s treasured items, so custom frames are the sensible choice. “I always say if you go [to big-box stores]you get what they’ve got; if you come here you get what you want,” he said. In the early ’90s Visi moved from California to take over Art Impressions—then owned by his in-laws. 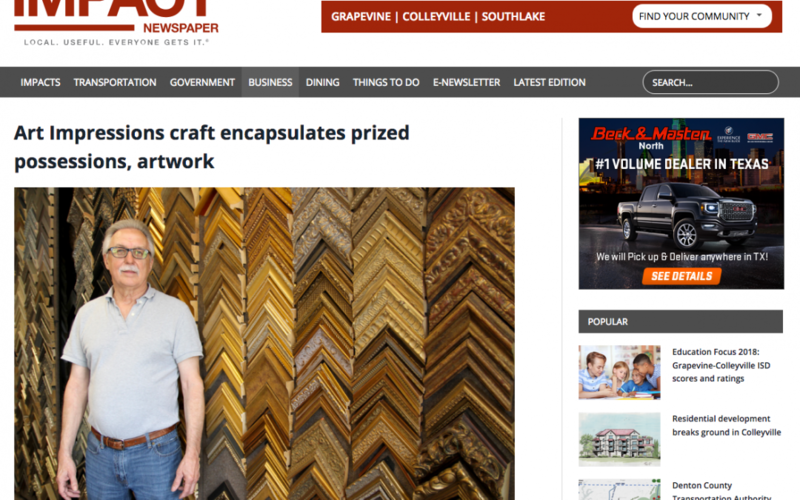 With no prior experience in custom framing, Visi said he joined the Professional Picture Framers Association so that he could learn more about the craft. Originally located in Irving, Visi moved the shop to Colleyville in 2004. Items brought to Visi for framing over the years have included military medals, a document signed by Abraham Lincoln and an original photo of Gen. George Armstrong Custer. Today Visi runs the shop alongside Bobbie Florida, a retired custom-frame shop owner. Together they have 50 years of experience creating custom frames. 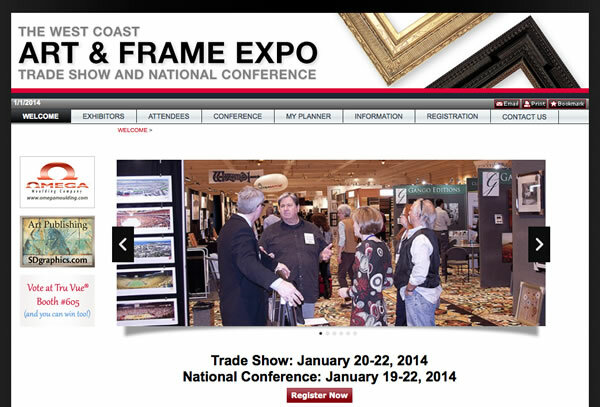 Art Impressions will be at the 2014 Art & Frame Expo held in Las Vegas this year January 20-22. If you are in Las Vegas during these days we would be happy to meet with you either as a client or possible vendor.